You're at sea, in your long boat, between one ransacking and another, and you're suddenly parched! What do you do?! 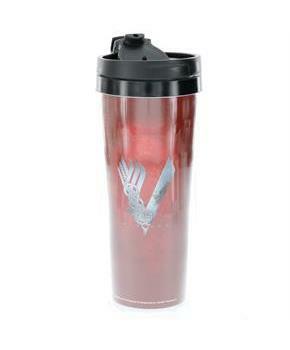 Why, pull out your Vikings insulated travel mug of course! 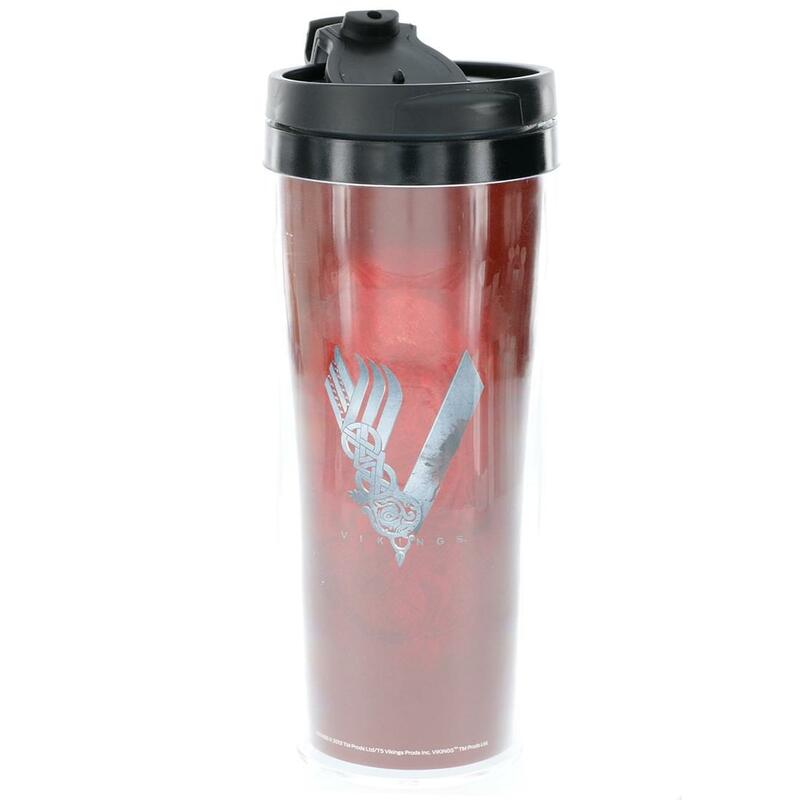 Red travel mug features the Vikings' logo.